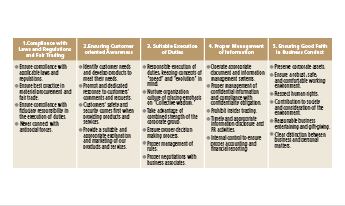 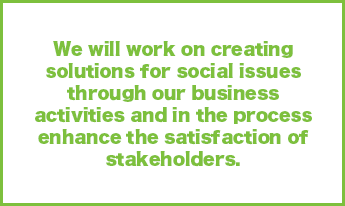 enhance the satisfaction of stakeholders. 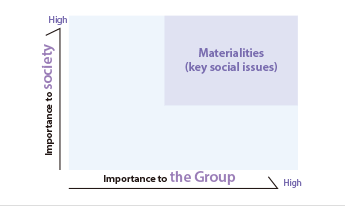 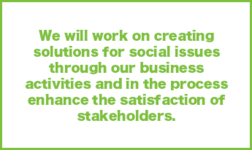 We find ourselves surrounded by a host of different challenges, spanning from environmental issues, such as global warming and ecosystem conservation, to social issues, such as aging society and a declining birthrate, as well as the need to reinforce compliance and risk management. 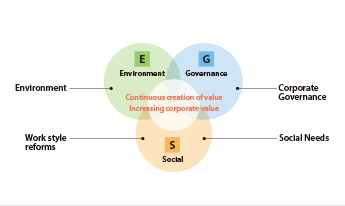 Given this, the corporate social responsibility (CSR) of the Tokyu Fudosan Holdings Group is defined as promoting initiatives that leverage resources through its business activities to solve social challenges and enhance the satisfaction of stakeholders in the process. 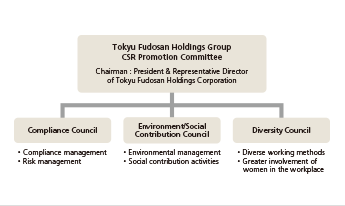 For this reason, we share the Tokyu Fudosan Holdings Group CSR Vision with all subsidiaries and consider CSR to be an important management task for which we are promoting initiatives through our core business.